Hamers says this stunningly scenic photo was taken poolside at a family farm close to Tatui in Sao Paulo, Brazli, a country that she says has many incredible places for practicing amidst stunning scenery. 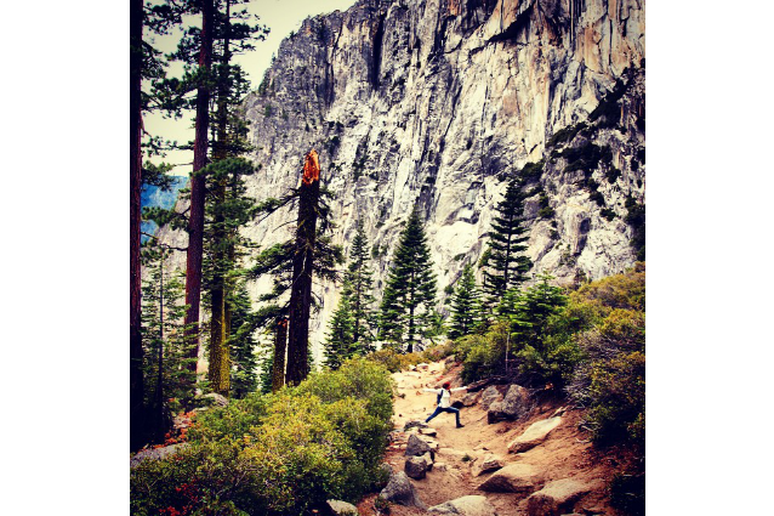 Despite her love for traveling and the many incredible sites she has seen, Martine Hamers, a jet-setting yoga instructor and creator of Yogtine, a blog that chronicles her discoveries in the world of yoga, acknowledges that you don’t have to travel far to have an amazing experience with yoga in nature. 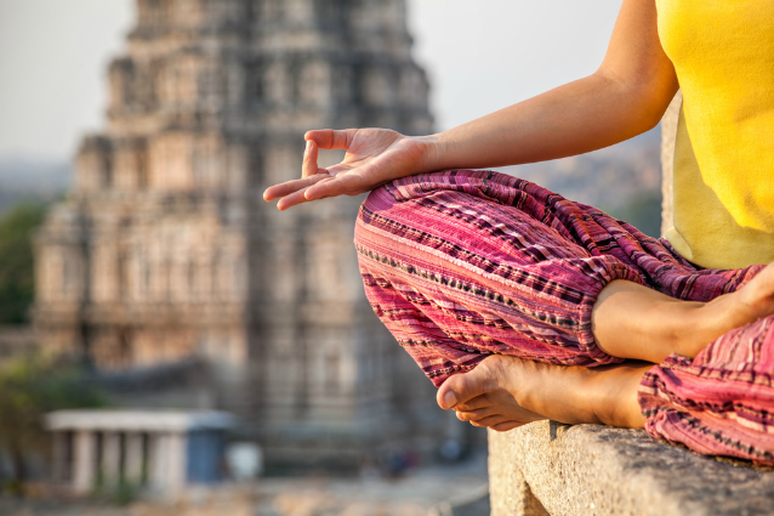 However, for the yogis who are on the hunt for the perfect spot to set up their practice, these are a few of the world’s most scenic landscapes where Hamers has found stillness and serenity. 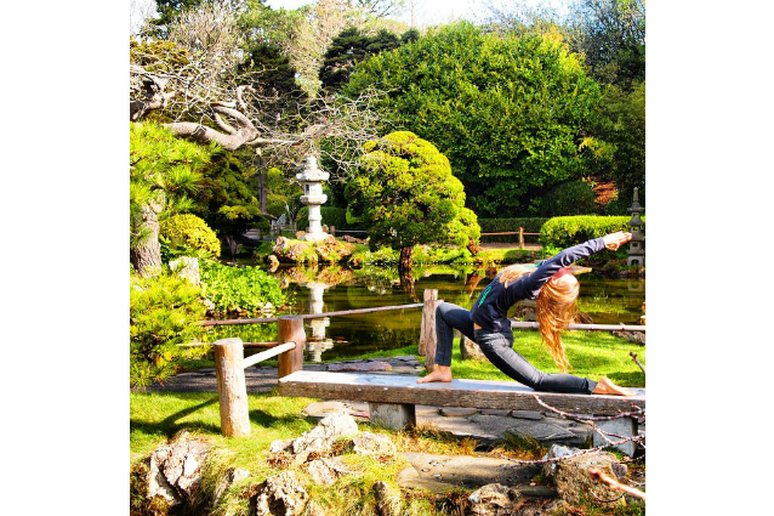 The Golden Gate Bridge, Calif.
Rolling hills, colorful plant life and the bright blue waters of the Golden Gate Strait compose a perfectly iconic backdrop for striking a few yoga poses. Hamers wrote that in San Francisco she enjoyed the beautiful hills, countless parks, crazy people and stunning bridges. Hamers says this small, unique village is located on the east coast of India near Pondicherry (the area's Auro beach is pictured left). [It’s] a place with its own rules and system. People from all over the world live there and it strives for human unity,” she said. Anywhere within the village will make for a truly exceptional place to practice, Hamers said, but her favorite spot is near the Matrimandir. “[ It’s] a big golden ball, which is the sun coming out of the earth,” she explained. “The inside is completely white and lit by a beam of sunlight which hits a big crystal ball inside the building. This crystal ball illuminates everything.” She calls it a “very special and truly magical place” and says it’s the only place where she’s ever experienced complete silence. 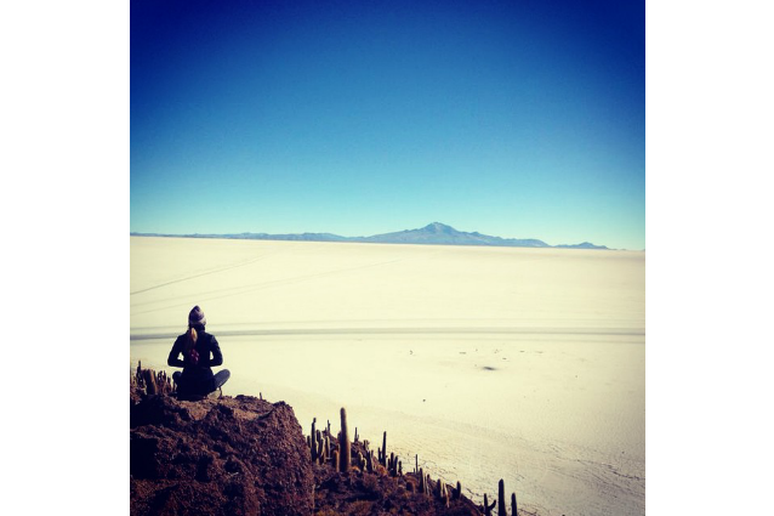 Situated near the peak of the Andes, Salar de Uyuni is the world’s largest salt flat and a perfect setting for practicing yoga given that it’s both striking and serene. 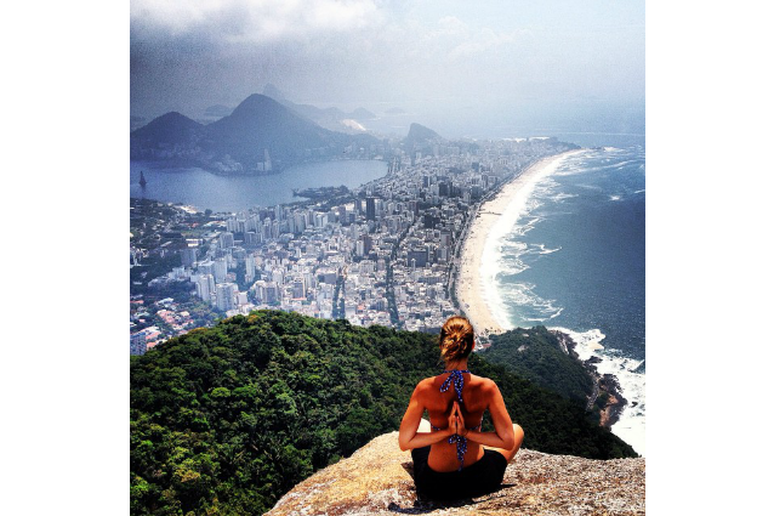 The beauty of Rio is that even though it’s Brazil’s second largest city, a yogi is never far from a more serene and secluded spot where a peaceful practice quietly awaits. 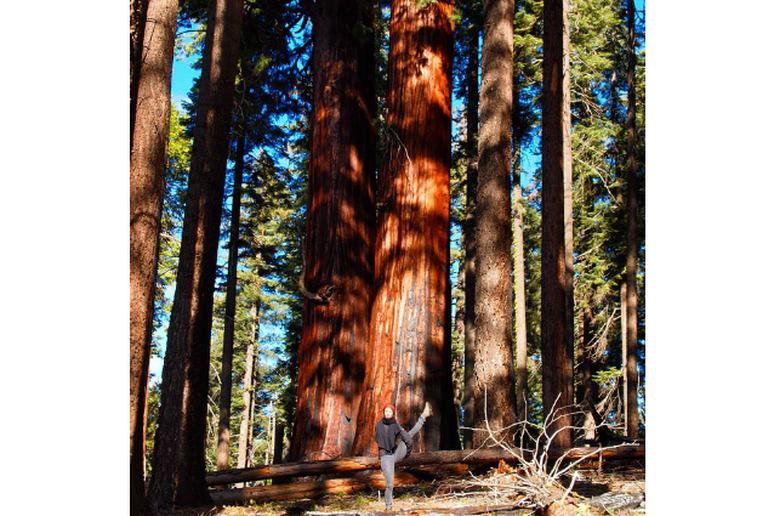 The Grand Canyon National Park, Ariz.
As Hamers pointed out, the “enormousness” of the trees in Sequoia National Park is nearly impossible to capture, but she describes the location as magical. “The beauty of the colors and the light were begging for a bird of paradise,” she wrote. 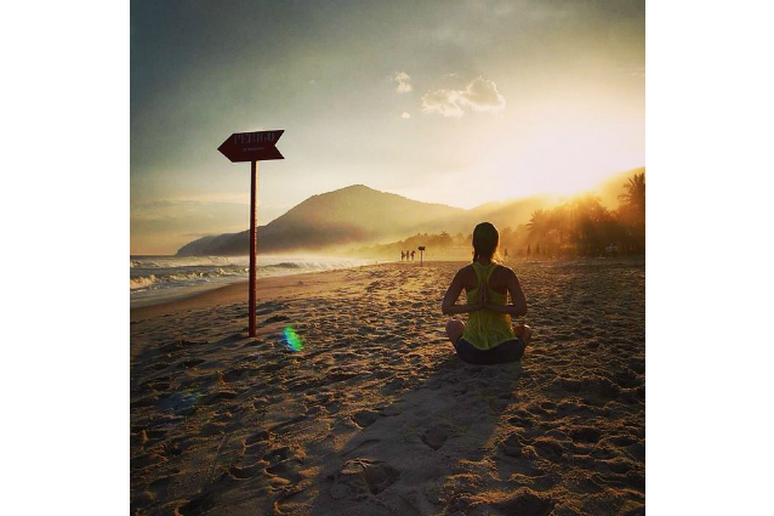 “Always take some time for yourself wherever you go,” Hamers wrote in her caption for this incredible snapshot of a sunset meditation on the beach in Maresias. We can’t imagine that would be difficult to do when surrounded by sun, sand, the calming crash of ocean waves and a mountain landscape.